What do we need to do at the unit before we check out? Who do we call after the office is called if we have a problem?  Do we need to have a fishing license to fish off the docks at Pirate’s Cove? Where can I take my pet on the beach? What are the rules concerning driving on the beach? Check in begins at 4:00 p.m. and check out is at 10:00 a.m.
All we ask is for you to strip your beds and put all your dirty dishes in the dishwasher and begin the cycle. Please leave furnishing in the location found and hurry back to stay with us again. If you have an after-hours emergency there is a phone number that is given for you to call on our answering machine. Yes. Fishing licenses are required for anyone over the age of 16. they are available on line or at many areas businesses. Each area has its own regulations concerning pets on the beach. Nags Head: Dogs are allowed on the beach year round with a leash. Pet owners/handlers are responsible for removal of pet waste and are to maintain control of their pets at all times. Pet waste is not to be buried in the sand or put in the ocean. Horses are allowed on the beach from October 1st through April 30th. Cape Hatteras National Seashore: Dogs are allowed on the beach year-round if they are restrained on a 6 ft. leash. Pets are prohibited on designated swimming beaches. Guide dogs for the visually impaired are permitted to remain with their owners at all times. Kill Devil Hills: Between May 15 and September 15 no dogs shall be permitted on the public beach between the hours of 9:00 am and 6:00 pm., unless being used to aid a handicapped person. At all other times, no dogs shall be permitted on the public beaches except upon a leash and under the control of the owner or handler. Pet owners must remove all pet waste and dispose of properly. Cape Hatteras National Seashore – Off-road vehicles are allowed year-round with some limitations. Obtaining an ORV (off road vehicle) permit is an easy process that takes only minutes from start to finish. You can choose to visit a visitor center at Cape Hatteras National Seashore in person or you can visit the Cape Hatteras ORV Permit page at Recreation.gov. Two types of permits are available for purchase. They are a 10-day Permit ($50, valid for 10 consecutive days) or an Annual Permit ($120, valid for one year from date of purchase).No driving is allowed in the Pea Island Wildlife Refuge. For current information on open zones and guidelines, contact the National Park Service Headquarters, (252) 473-2111. Southern Shores & Kitty Hawk – Beach driving is never permitted. Kill Devil Hills – Beach driving allowed between October 1 – April 30. Nags Head – Beach driving allowed between October 1 – April 30. Visitors must apply for and receive a permit from the Nags Head Town Hall. For more information, call (252) 441-5508. The pool is open from Memorial weekend to Labor Day weekend. Jennette’s Pier beach access is 3.2 miles from Pirate’s Cove Resort.